And the giveaway goodness continues! 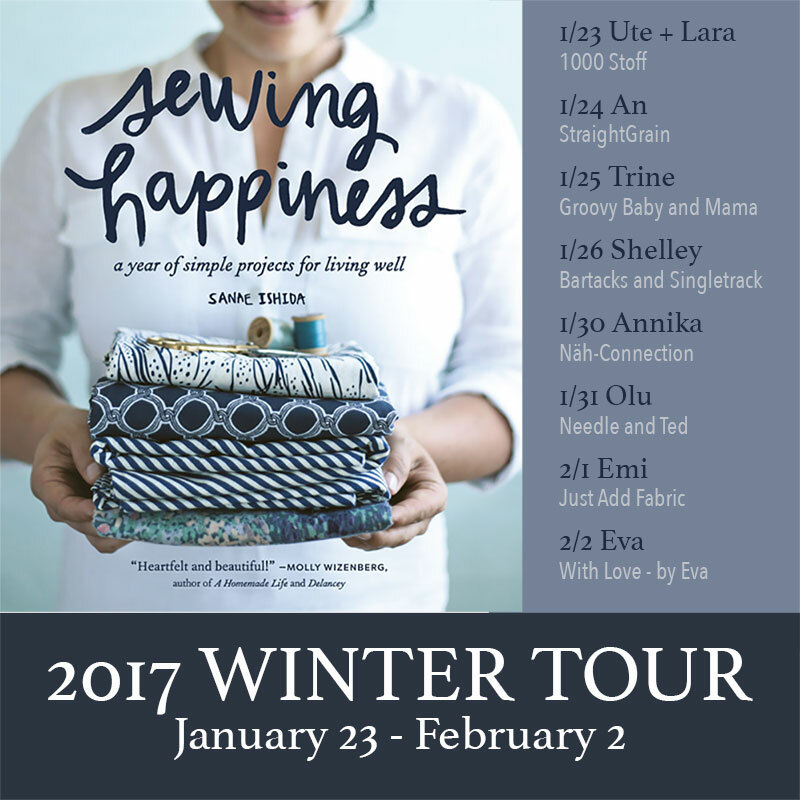 Sasquatch Books and I are teaming up again this week to offer up two copies of Sewing Happiness as an end-of-the-year hurrah! It’s hard to believe that over a year has passed since its publication. I’ve met SO many amazing people through the book and it was a labor of true, true love in collaboration with magical folks. I’m keeping this post short and sweet since we’ve all got holiday festivities and preparations to attend to, yes? 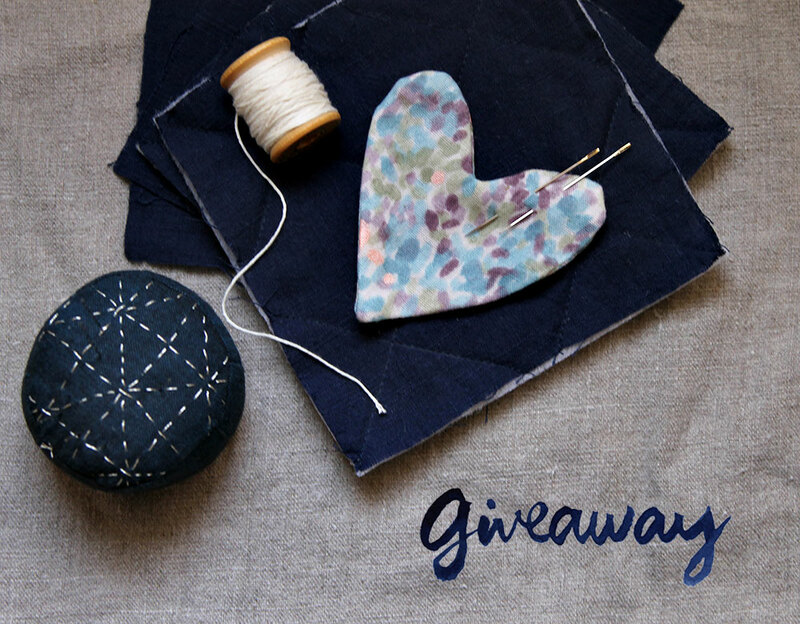 On top of a signed copy of the book, we’re adding a mini Sashiko sewing kit that includes 2 Sashiko needles, a spool of Sashiko thread and indigo cotton/linen fabric (I think? 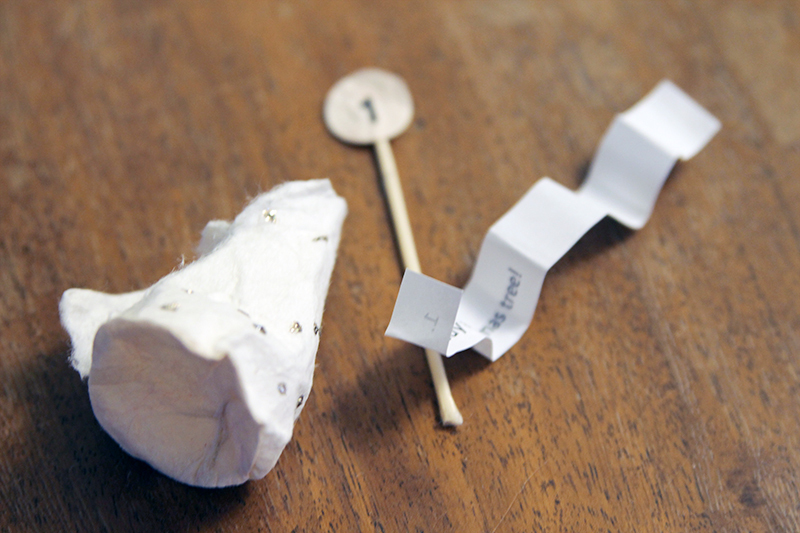 It might be cotton only, but it has a linen texture as well). The fabric is pre-cut and pre-quilted so you can make a Sashiko-embroidered coaster, similar to the trivet in the book. 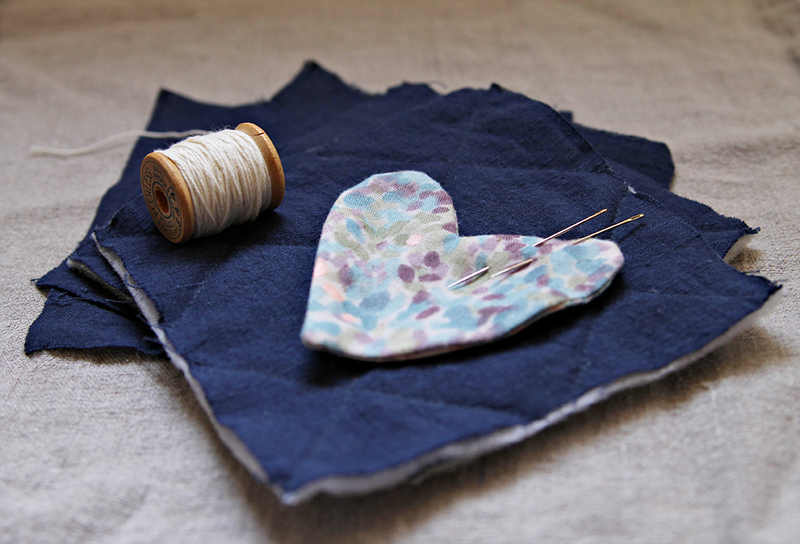 I’m also throwing in a mostly-made heart-shaped sachet that can be filled with lavender (or whatever you please) and closed up with just a few stitches. The fabric is one of my favorite Nani IRO designs. It’s the usual to enter the giveaway: any comment will do! If you’re keen to share something specific, I’d love to know about a fun activity you’d like to do in 2018. A friend just told me she started taking Bollywood dancing lessons and that sounds awesome to me! Might give that a whirl…I’m also looking forward to going hiking more in the new year. Gotta take advantage of all this gorgeous and accessible nature in the Pacific Northwest! The giveaway is open until Thursday, December 21st, and I’ll contact the two winners by the end of the day on Friday, December 22nd. I’ll also post this on IG (@sanaeishida) too if you’d like to enter there to increase your chances. Good luck!! Please note: US residents only and the parcel will arrive after January 2nd. Happy Monday, my friends! 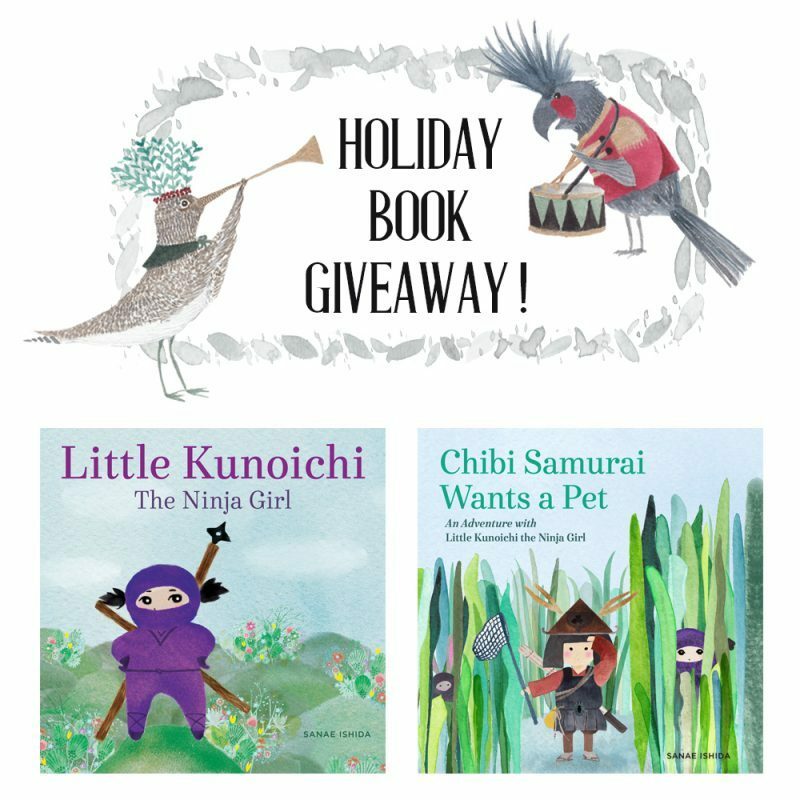 I’m so excited — Sasquatch Books/Little Bigfoot contacted me last week to see if I would be interested in hosting a holiday giveaway, and I jumped at the chance. ‘Tis the season for giving! 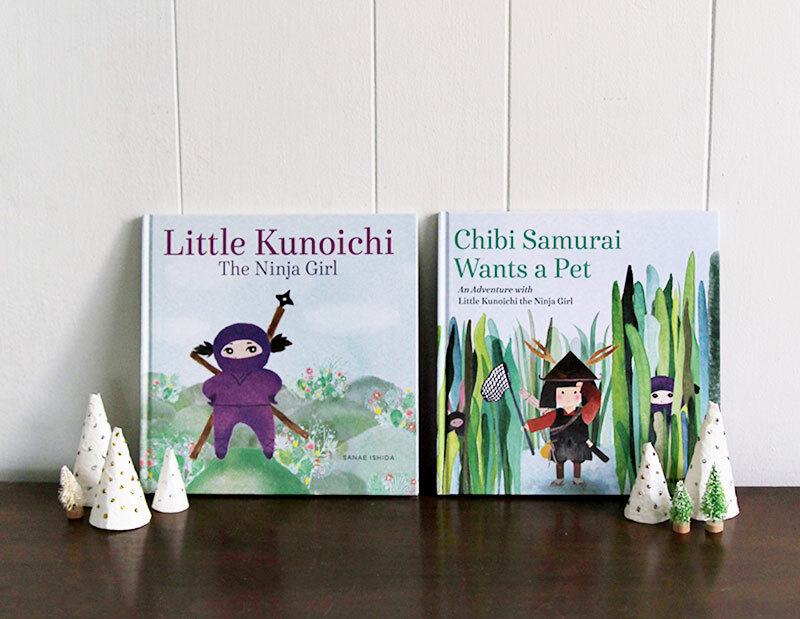 Sasquatch Books has generously offered 20 copies to give away in celebration of the festive season: 10 winners will receive a signed copy of Little Kunoichi, The Ninja Girl and 5 winners will get the GRAND PRIZE: a signed copy of both Little Kunoichi and Chibi Samurai Wants a Pet. And that’s not all! 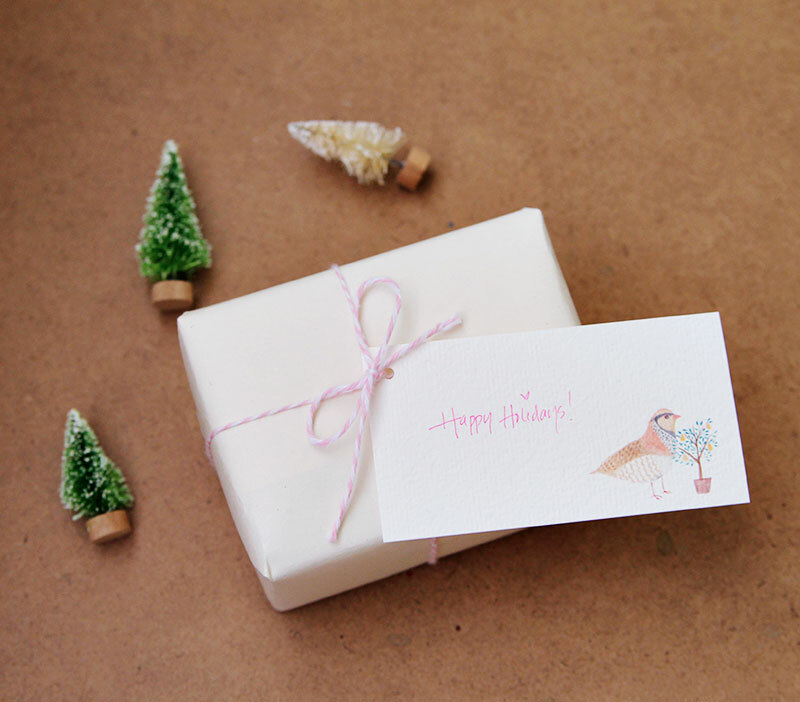 I’m including some watercolor holiday tags that I painted, which I think are quite charming, if I may be bold enough to say so myself. They’re based loosely on the 12 Days of Christmas song, and there are a few other holiday motifs as well (it’ll be a surprise!). 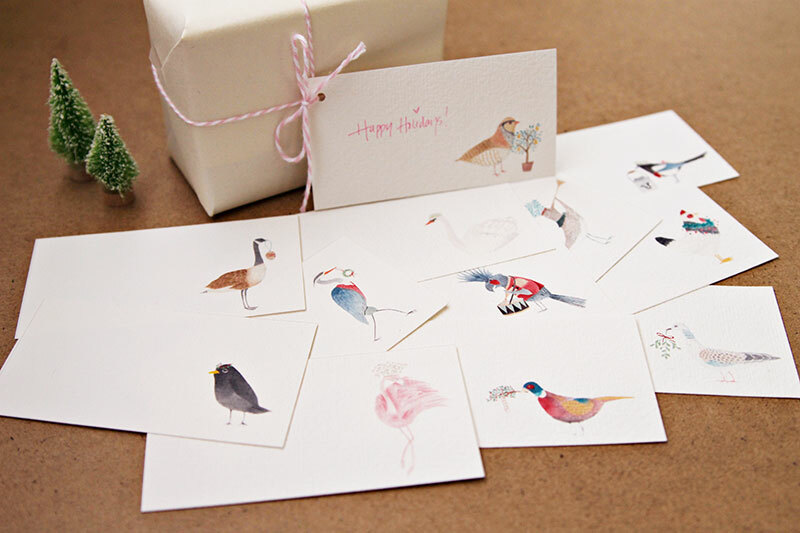 We’ll try to get the parcels shipped in time for Christmas, though they may land on doorsteps a few days after. These would make great gifts any time of the year if you’ve already got a copy of either or both books! To enter, please leave any comment below, though if you’d like some ideas, I would love to know what your favorite holiday tradition is. I started making K an advent calendar six years ago and hands-down, it’s the loveliest part of the holidays for the entire family. I challenge myself to come up with something different every year, K has something to look forward to almost every day of December, I include activities for family bonding, and it does double-duty as holiday decor. This year, I asked her to write down something she’s grateful for every day, and her growing gratitude list is so sweet! 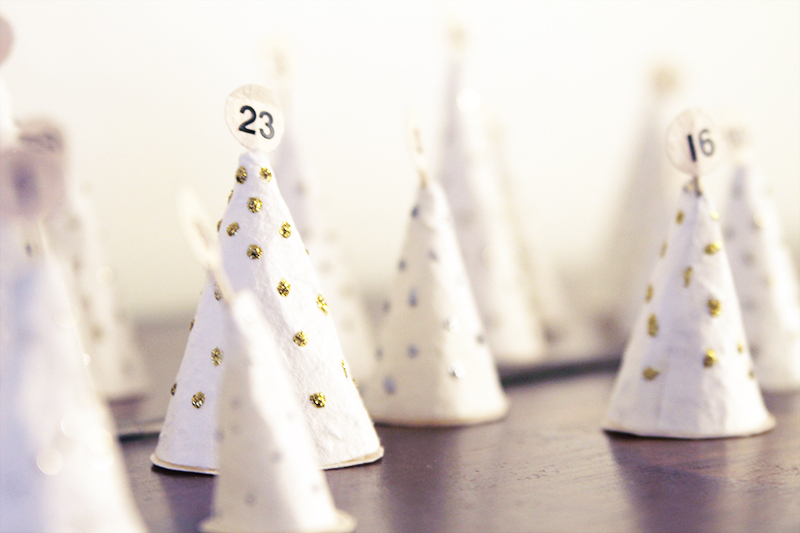 Here’s a little shot of this year’s advent calendar. You can see past calendars here and here and here and here and here. I’ll also post this giveaway later today on Instagram and if you’d like to comment there as well, it might up your chances of winning! The giveaway will be open until Thursday, December 14th and the randomly selected 15 winners will be contacted by the end of day Friday, December 15th. Good luck! Important note: this giveaway is limited to US residents. Happy Friday, friends! Ahhhhhhh, we are soaking up the last days of summer before K starts middle school (!!). As I type this, there is a gaggle of girls in our backyard unleashing bloodcurdling screams as they hurl water balloons with frightening accuracy at each other. K has had a most excellent vacation. And I’ve been plugging away at various projects in between summer-y activities involving camping and cookouts and general loafing around. I may make summers all about giveaways on this blog. I mean, it’s what I’ve done these past few months, and it’s sort of nice, isn’t it? Low-key blogging on my end, and perhaps a little burst of anticipation and fun on your end. What do you think? Today, I have one more book from my Tuttle offerings. 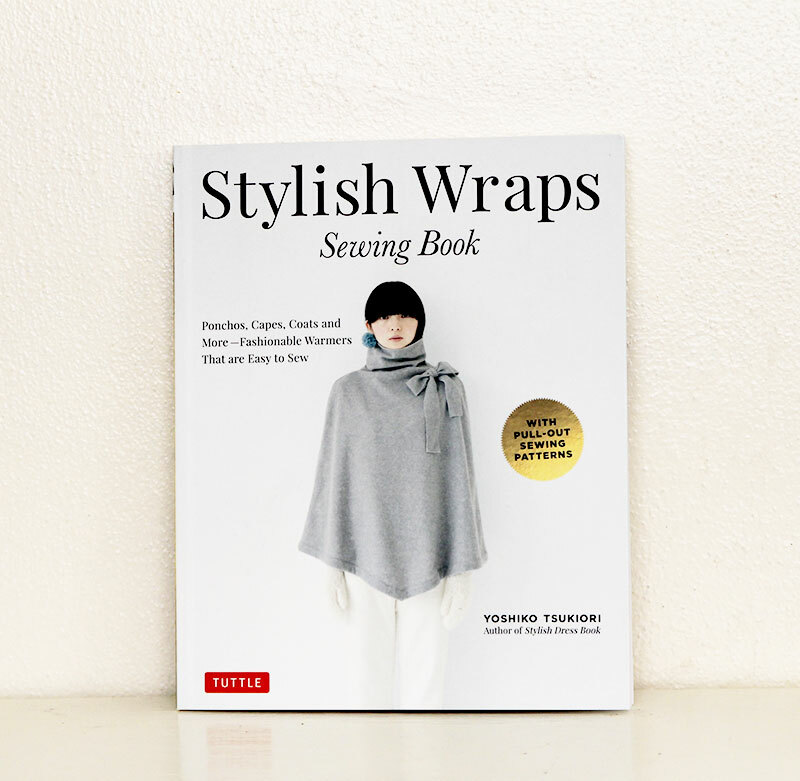 What distinguishes this Stylish Wraps book by Yoshiko Tsukiori (well, “distinguishes” might be a somewhat inflated word), is that the translation was done by yours truly. 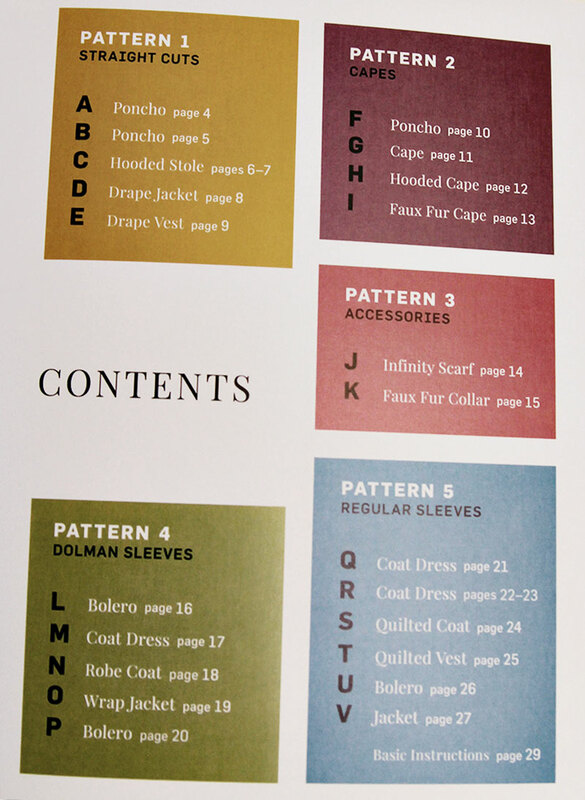 If you squint on the last page, you might see my name in teeny tiny print. 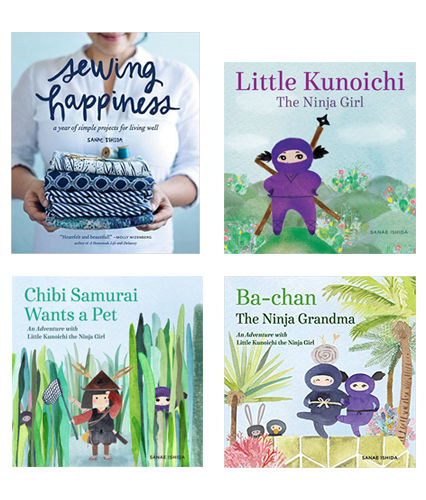 It was a delightful book to translate, and I would love to make a few of these “wraps”. Sigh. Sewing has been so on the back burner. 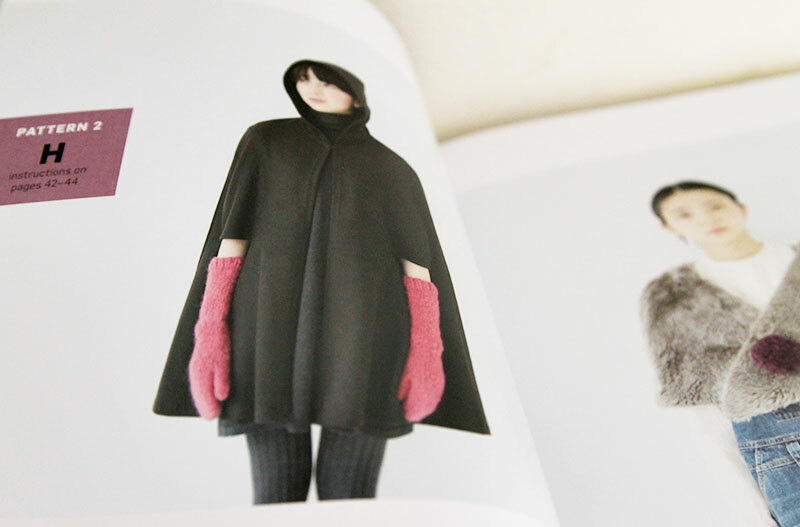 But my favorite season of the year is approaching, and I always feel more energized and motivated to sew in the Fall. 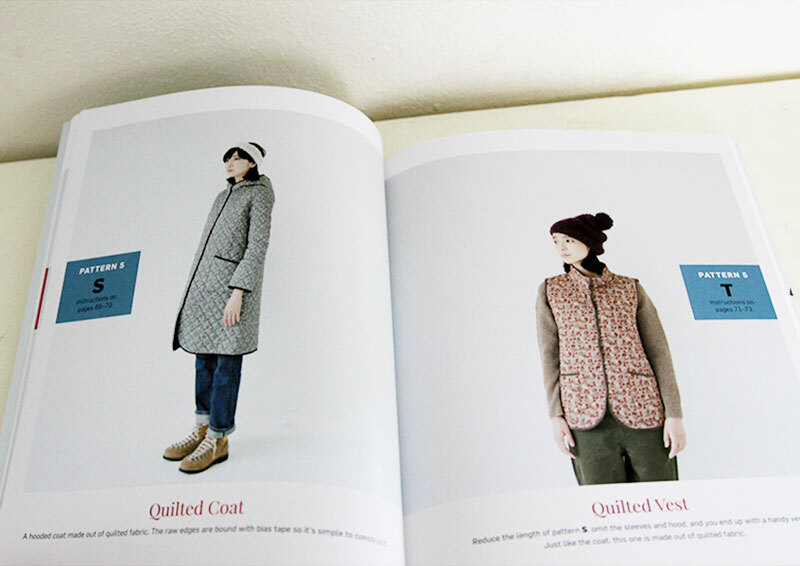 With that in mind, it seems appropriate to do this giveaway of autumn-friendly patterns. 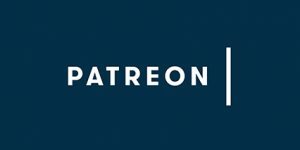 Same old, same old: to enter the giveaway, please leave any comment (and maybe you’d want to share your favorite season or when you feel most motivated?). I’ll leave it open until next Friday, September 1st and international entries are always welcome! Happy Friday! We are in full-on countdown mode since we are boarding Delta airlines to head out to Tokyo tomorrow. I did, however, promise Tuttle Publishing that I would do a little review of their books before I left. 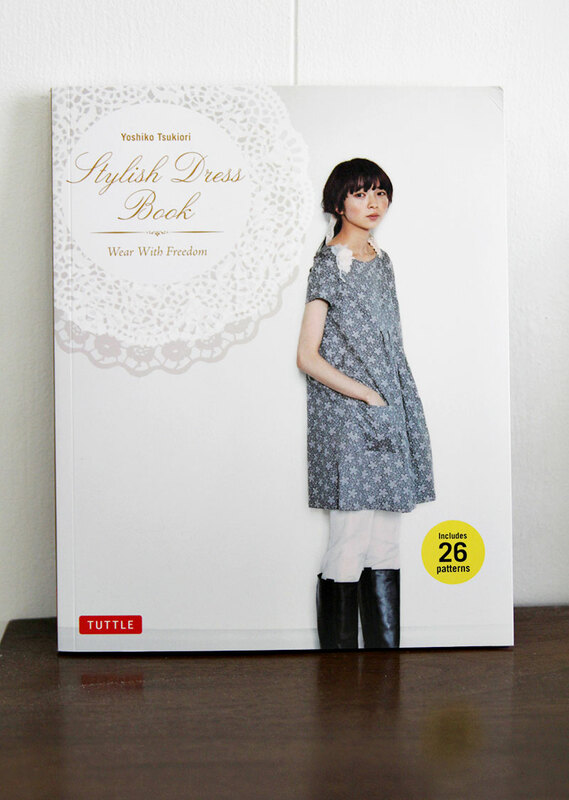 Given my current state of being caught up in travel preparations, I’m cheating a little because I discovered that I had, in fact, already mentioned this Stylish Dress Book by Yoshiko Tsukiori. At any rate, I now have an extra copy to give away. 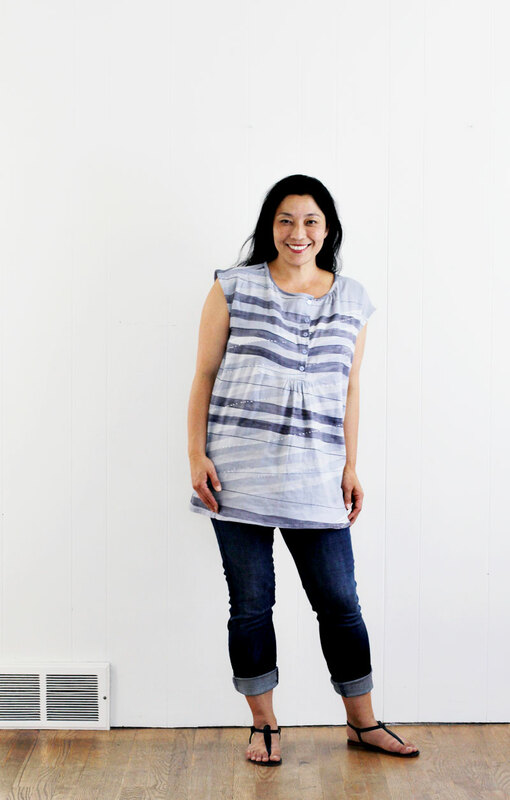 The top I made from this book a couple of years ago is so well-loved and worn, I’m definitely planning on making another. I’m actually taking it with me to Japan, despite its current slightly raggedy state. That’s how much I adore it. 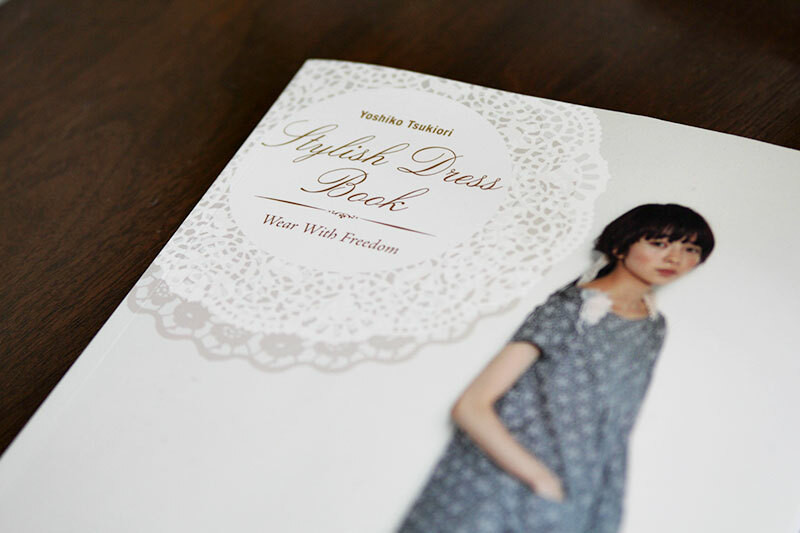 Interested in owning your own Stylish Dress Book? To enter the giveaway, please leave any comment though I’m always curious to know people’s dream destinations. I’m so so so so so so excited to go to Japan — it’s been over 20 years since I was there and I’m chomping at the bits to see how it’s changed/stayed the same! While I’m away, I won’t be making any blog updates or checking online much (though I might pop up on Instagram from time to time) so this giveaway will be open for a few weeks until July 10th, when I return. International entries are always welcome, and good luck! See you in a while, crocodile!! *We’re hitting up quite a few places within Tokyo while we’re in Japan with K’s school and then we will be squeezing in visits to relatives and sightseeing in other prefectures after the school program portion is done. FUN! P.S. Furoku members: the next edition is being scheduled to reach you on July 1st, but do let me know if any technical issues arise or you don’t receive anything. Happy Friday, friends! I’m thrilled to announce a little blog/IG tour of sorts happening over the next couple of weeks. 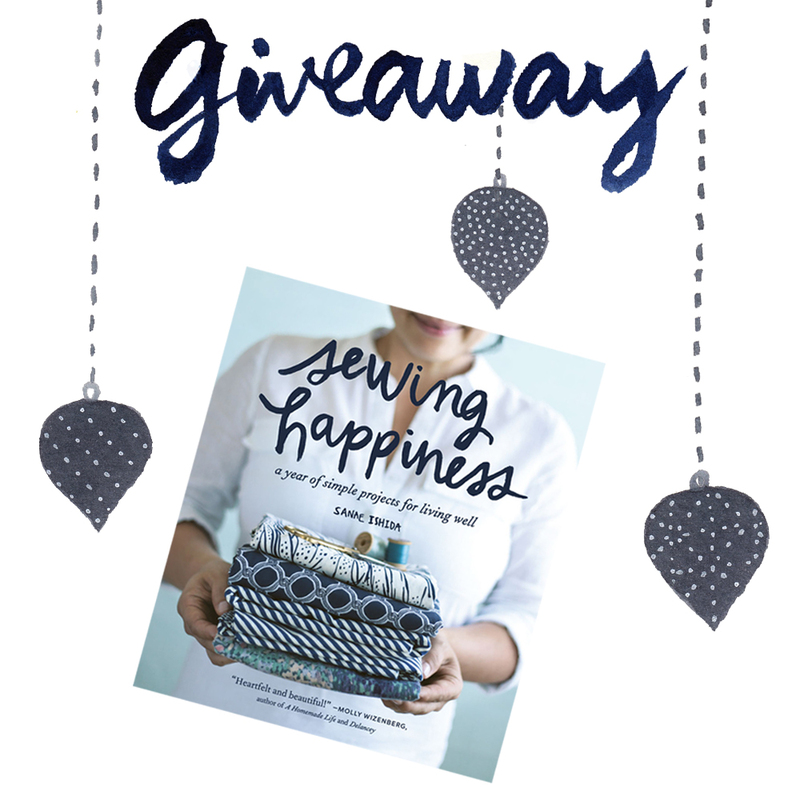 A few of my wonderful international sewing friends have agreed to do a feature of Sewing Happiness, and we’re doing a giveaway that includes a signed book + 45 euro gift certificate from the charming 1000 Stoff shop. I thought it might be a fun way to start off the year! We’re keeping it loose and casual and I’m in the dark as much as you are in terms of what these amazing ladies will create and/or post. I’m so curious!! Until next week, have a fabulous weekend everyone! !